We congratulate the 2017 award recipients of the Women for ATSU Scholars Program and celebrate their achievements. Darin Chokdee – I am currently a D2 at the Arizona School of Dentistry and Oral Health. I serve as Secretary for the Special Care in Dentistry Association and conduct research on the Sensory Adapted Dental Environment on pediatric patients with autism. Before moving to Arizona, I lived in Chicago where I worked for four years as a database manager in clinical trials hematology oncology research. I also gained dental experience working as a dental assistant at Goldie’s Place, a community dental clinic in Chicago that provides free dental services and dentures for people that are homeless. I have a Masters of Science degree in Biotechnology and Chemical Sciences from Roosevelt University where I founded and served as president of a volunteer organization, RU: Bright Child, Bright Smiles and of a discussion group, Non-sequitor Science. There, I also conducted research on the socioeconomics in affecting cleft lips and cleft palates, and on the interaction between Yar1 and VMA5 in yeast cells. I received my Bachelors of Science degree in both Biochemistry and Microbiology from the University of Wisconsin-Madison where I conducted research on purifying FMO4 proteins in rat kidney and on emotional contagion from male and female leaders. I am honored to be an award recipient for the Women for ATSU scholarship and I hope that my dental, community outreach, and research experience will inspire collaborations and innovations in dentistry. Breanne Hirshman is a fourth year osteopathic medical student at A.T. Still University School of Osteopathic Medicine in Arizona. Breanne was elected Class President and Student Government Association President in 2013, and represented her school at national quarterly meetings of the Council of Osteopathic Student Government Presidents from 2013 to 2015. From 2015-2016 she served as the National Chair of this council. During her term as National Chair, Ms. Hirshman oversaw the development of the Mental Health Awareness Task Force, attended meetings of the American Osteopathic Association’s Commission on Osteopathic College Accreditation, and served as a voting member on the American Osteopathic Association’s Bureau of Emerging Leaders. Breanne has also been active in osteopathic medical politics and policy. 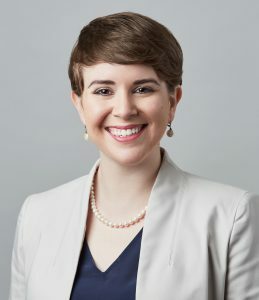 In 2014 she served as a student voting member of the Arizona delegation during the American Osteopathic Association’s House of Delegates meeting. She also participated in the Arizona Osteopathic Medical Association’s DO Day at the Arizona State Legislature in 2014 and the American Osteopathic Association’s DO Day on Capitol Hill in 2014 and 2015. In 2015 Ms. Hirshman was inducted into Omega Beta Iota, the national political action honor society for osteopathic medical students. In addition to her studies as an osteopathic medical student, Breanne has also been pursuing a Master’s degree in Public Health. This summer Ms. Hirshman will begin her career in Emergency Medicine as a resident at Mercy St. Vincent Hospital in Toledo, Ohio.